In the first part of this series, Eczema 101: What Is Eczema?, we defined eczema and the variations of this skin condition. Now we’ll get into what can eczema triggers as well as common irritants. One thing about eczema triggers is certain – there is no shortage of eczema triggers. And to make things really complex, the triggers vary from person to person making it quite difficult to identify at times. Here is a list of what can trigger eczema. Airborne allergens: Anything in the environment such as dander from pets, pollen, dust and grass, can cause an eczema flare-up or exacerbate the situation. Often times HEPA air purifiers can help provide relief in cases like these, especially when asthma or sinus issues are a concern as well. 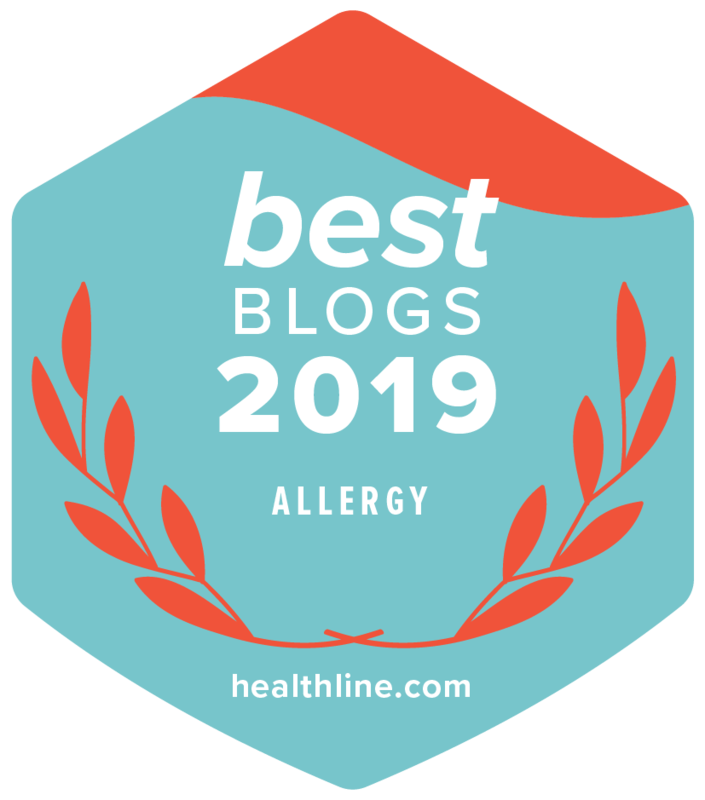 Food allergies or sensitivities: Many types of food have been known to trigger eczema and some commonly further inflame existing cases of eczema. Foods such as dairy, eggs and gluten are frequently linked with triggering eczema. And foods like tomatoes and other acidic foods often can cause existing eczema to flare up even worse! And you don’t have to have a proper IgE food allergy for the food to trigger eczema. The more complex, less understood and harder to diagnosis food sensitivity can trigger eczema just the same. 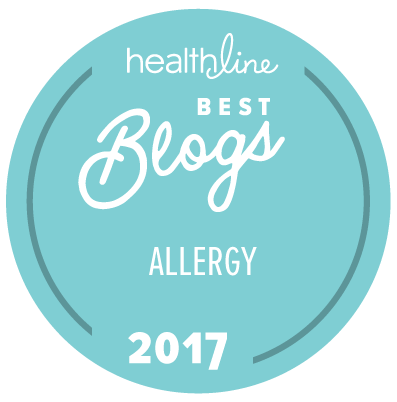 So, while food allergy testing can be helpful in some cases, testing alone is usually NOT enough. It is very helpful to undergo an elimination diet to fully understand which foods not only trigger your eczema to begin with, but which foods may also aggravate existing eczema. Always work with a dietician, nutritionist or physician when undergoing an elimination diet to make sure you or your child is still getting a healthy-well balanced diet full of essential nutrients. Fabric & Chemical Irritants: Many ingredients, fabrics or chemicals can cause eczema or exacerbate it when the skin comes in contact with them. Since anyone can be allergic to almost anything, the list of possible irritants is almost endless, but there are a few things that tend to more frequently irritate the skin than others. Nickel allergies are on the rise as is an allergy to propylene glycol, an ingredient often found in conventional skin care products. In terms of fabrics, it’s pretty common these days to react to latex and polyester and even nylon, which is referred to as textile dermatitis. Another big irritant is laundry detergent. Not only are there very harsh chemical ingredients used in detergents, but detergents, even natural ones, are very alkaline and really can irritate the skin which requires a slightly acidic environment to be optimally healthy. If you experience contact dermatitis, it’s important to read labels and make sure there are no added chemical based ingredients that can affect your skin. Our suggestion is to rely on natural eczema treatments that do not use harsh chemicals or preservatives. Stress: This is quite possibly one of the most common triggers. Why? Because stress effects every one of every age and it can be very difficult to control. In fact, ironically enough, the more you try to control stress, the more stressed you can become. Mindfulness, yoga, and meditation can be great ways to relieve stress and are very healthy practices to introduce for overall better health and happiness. We have a great post about how to help children reduce stress levels HERE. Medication: This trigger is not one that is commonly addressed, but many medications, both oral and topical can trigger eczema in individuals. Oral antibiotics, steroids, birth control and many more medications can strip the gut of healthy bacteria, which in turn can manifest in eczema. Read more about how antibiotics negatively impact our gut’s microbiome HERE. Definitely speak with your physician if you are concerned about any medication you are taking and how it can trigger your eczema. For more information on what triggers eczema, make sure to check out this post with video from dermatologist Dr. Peter Lio: What Triggers Eczema? Stay tuned for next week’s post, Eczema 103: Heal Eczema From Within! What Triggers Your Eczema? Tell us in the comments below! TAGS: eczema 102 eczema in adults eczema in children eczema triggers elimination diet HEPA air purifiers new to eczema nickel allergies Textile Dermatitis What Can Trigger Eczema? My son had terrible ezcema. Treated with topical steroids for years before we finally went through an elimination diet and figured out his food sensitivities. I want to echo what you said in this posting: you do not need to test positive to any kind of allergy testing to explain your ezcema! My son has had every kind of allergy testing possible done – he is NOT ALLERGIC to anything. I now know that corn, dairy, and gluten all trigger eczema for him, with corn being the worst of all. (And yes, I used to give him a bowl of popcorn for his afternoon snack every day!!). For him, I see it on his face first. His face become red, streaky, dry like sandpaper, and flaky. Eventually it moves to the typical wrist, ankles, hands and whole body. Just to confirm I’m not crazy – I recently bought some bulk beef jerky at Costco – I know jerky is gluten free, so consider it a great lunch option for him. It took me several weeks of him eating this jerky 3 X per week at school for me to re-read the label and figure out there was some type of corn derivative in the jerky. It took about 10 days to get it out of system and then his skin was magically transformed back into baby soft and beautiful. Another weird (and important!!) one that I want to echo from this post is sensitivity propylene glycol. It took a lot of detective work to figure out what was making my son’s leg’s explode on road trips our car. Initially I thought it was something he was snacking on. But now I know that propylene glycol is used in the treatment of leather (makes it softer, conditions it??). I finally found a post that said, “help, I’m allergic to my car.” Many people have reactions to the leather steering wheel, leather seats, etc. in cars. The skin on the back of my son’s legs would turn red, hot to the touch, and puffy. It’s from the propylene glycol – who knew?!! Thank you Laurie! So happy to hear you identified your son’s triggers! Such a difficult task – very happy for you!!!!!!!!!! My daughter is 20 years old and has been in a full blown eczema outbreak for the last 1 1/2 years. She is going the all natural route but we see improvement to then get more outbreaks. She is on a full vegan diet. As a mother, I am frustrated that I cannot help her. We had her tested for allergies and there were none. Her creases are red, scabby and bleed. She says her skin is detoxing but after 6 months of eating vegan shouldn’t we be seeing some improvement? I am worried for her self she says she is not the same. She has stopped exercise, swimming, and is afraid to do anything in concern that she might trigger something. I guess I am looking for some advise as to how I can support her and maybe suggest things to try. Lotions, recipes, etc. Hi Theresa – I’m so sorry to hear this! My heart goes out to you. It’s such a struggle and all we want to do is help our children. I totally understand. Have you read all our material in the Start Here for Eczema Relief section? The post about what worked for my son’s eczema may give you some ideas to try. Other than that, I’d suggest working with a naturopath or functional doctor for help. Maybe she is sensitive to certain foods, such as tomato, potato, bannana, kiwi, peaches, etc?. If that is the case, then not eating meat or dairy will not “detox” her system because they are not what is toxic to her. Natural substances can cause allergies.